Technically I was scheduled to write this Ronin Roundtable for July 3rd. Technically, even though I got an extension, I should have had this written for posting this morning since I didn’t get it done last week. Yet I have struggled to find the words, the right words, the words that will convey to a reader exactly and precisely what I want to get across. I’m still not there but the truth is the best I can do is push through and see where it gets us. I am part of the second generation of gaming professionals. Many of my older friends, mentors, and colleagues in the business have been on this track a little longer than I have. They have already felt the loss of many of their generation as the founders of our hobby have begun to edge into old age and pass away. Gary Gygax, Dave Arneson, Aaron Allston and too many others of the era have left us but the path of destruction has begun to spread and is taking some of my generation along with it. On June 22nd Stewart Wieck, my friend and one of my earliest mentors from the bare beginnings of my career, passed away at what seems to me the unbearably young age of 49. 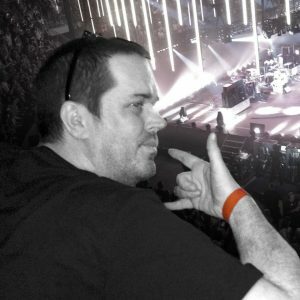 As someone who stumbled accidentally into a game industry career barely out of my teens, Stewart was a peer, a friend, and an unfailingly kind example of ambition tempered with true grace. I do not overstate when I say I would not be in the game business now if not for his influence and support and I am far, FAR from the only one to say that. Stewart’s quiet, calm (and often behind the scenes) influence truly changed the face of gaming for an entire generation of gamers and game designers. 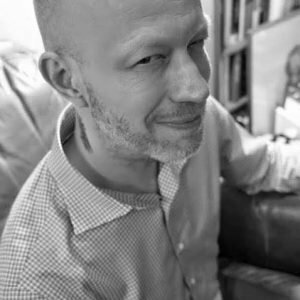 The thing about Stewart’s passing, beyond his personal influence and our incalculable loss, is that it tore open the still-healing wound of my friend and colleague Jeff Mackintosh’s passing nine months earlier (almost to the day) at the age of 45. Nine months ago I received word that Jeff was no longer able to fight the brain cancer he’d been heroically beating back for years, that his cancer had metastasized and things were grave indeed. I all but ran to his side when I heard, taking the trip across the continent as soon as I could humanly manage it. I wanted to tell him how deeply his influence was felt, how many of us from gaming (spread far and wide) loved and honored and appreciated him. Depending on your outlook, I arrived just in time or just too late. Jeff was unconscious as I held his hand and choked out as much of my message as I could but I do believe he heard me even if he couldn’t respond back. He left us just a few hours later and I still haven’t healed from that blow. 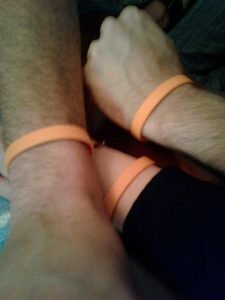 I wear the orange courage band in his honor. I’m not sure when I will feel right taking it off but I know it’s not now, not quite yet. I was wearing it when I attended the memorial for Stewart a week ago. This is the part where life is short. GenCon’s 50th Anniversary is this year. In a little over a month there will be celebrations and retrospectives to commemorate the grand event and I am profoundly grateful that the anniversary is serving as an excuse for so many of us from the history of gaming to gather together under its auspices. I will be reconnecting with people I haven’t seen in years, sometimes not in decades. Through the retrospective panels, we will be unabashedly acknowledging the contributions of so many of our first- and second-generation professionals. It is a timely and loving reminder that the contributions we’ve made to creating this hobby and spinning out stories, systems, and entire worlds of imagination are enduring. We are reminded that projects started in basements and garages and attics around the world were created with passion and dedication, that some of those projects became bigger than we ever dreamed possible, changing the foundations, shaking the assumptions, and establishing new paradigms that game players beyond measure have adopted. This is the part where gaming is long. If someone in the game business has inspired you, has thrilled you with their creation, has entertained you or comforted you or challenged you as you’ve read their work or played their game, please tell them so. GenCon will be a great opportunity to do this but it doesn’t have to be done there or even done in person. We’re all humans here, sometimes frail and imperfect, sometimes hilarious and inspired, sometimes quietly courageous and dedicated in spite of daunting challenges. None of us will be here forever in body but through our shared works, we will endure in spirit. That is, has to be, enough.